I started to look for a Mac 239’s dupe a long time ago, just looking for a cheaper version or even a better quality one but not because I wasn’t happy with the original Mac 239. It was more out of curiosity, you know me… always involved in a brush mission. Here in Switzerland Mac brushes are very expensive, the Mac 239 costs 40 chf (approx 40 usd). In the USA, the Mac 239 is sold at 25 usd (before taxes). The J004G is 20 usd on the Hakuhodo website, it’s cheaper even if I include the shipping costs, it will depend what prices are applied on Mac products where you live. I think in Australia and Europe Mac could nearly reach the double of the USA price tag so this J004G may be of great interest to you. 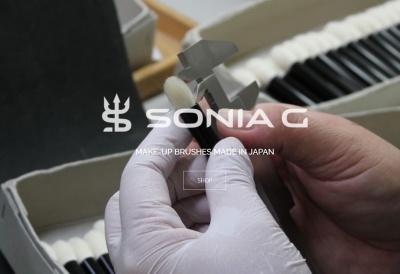 The J004G is slightly longer (1mm) and rounded at the top, the base of the ferrule is same width, it is softer and it has more flexibility than the Mac 239 but it’s not as thickly bundled, still thick enough to achieve a perfect layering. It’s also a bit more tapered at the top, it will just allow you to place or smudge shadow with the top more precisely than with the Mac 239 but not with as much pressure. The layers start a bit more closer to the ferrule but the final application doesn’t change much, there is nothing that I do with the Mac 239 that I cannot do with the Hakuhodo J004G. The Mac 239 will eventually allow you to scrape hard products with more strength since it’s firmer but other than that for me it’s a very close dupe. Don’t even ask me how the Piccasso 239 differs from the Mac 239, they look similar, they are not. The bristles of the Piccasso poke, they aren’t evenly layered and you won’t have a nice control with uneven layers like that. It doesn’t mean your application will not be ok because it will apply your product, just not as well as with the others and you won’t feel the application pleasant if you have delicate eyelids. 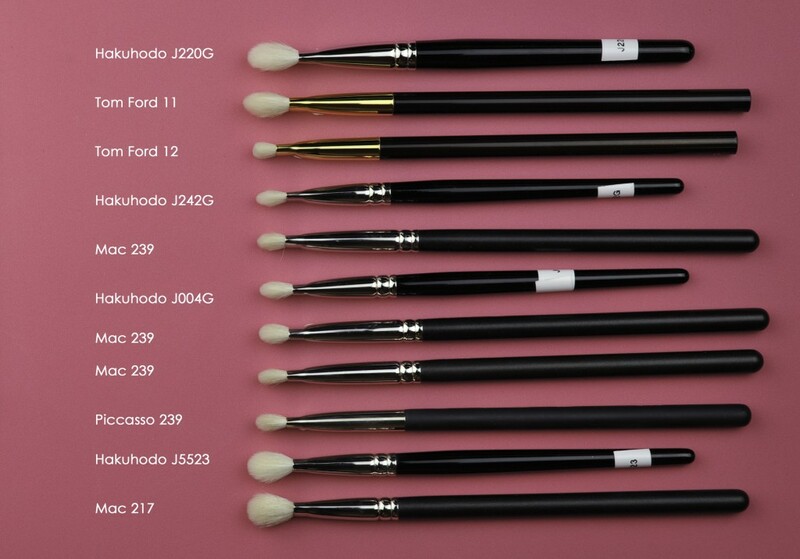 The Piccasso costs 28.60 usd and it’s made of goat hair but I really don’t get how they could name it 239… if at least they were offering a cheaper version of the 239 I would understand better but here I don’t. The big question is … do I still need the Mac 239 or can I order the J004G instead ? You can order the J004G and you won’t miss the Mac 239, unless you want a firmer version of it. I can manage all that I did with the Mac 239 and it will be slightly more pleasant, in terms of softness they aren’t that different but they still are enough for me to notice it. If you want a bit more control and precision you can use the J242G, in this case you will have something for general application (J004G) and the smaller J242G for the lid or for the outer corner. It’s very useful to have at least two laydown brushes but that’s just my personal preference, not a necessity but a comfort. 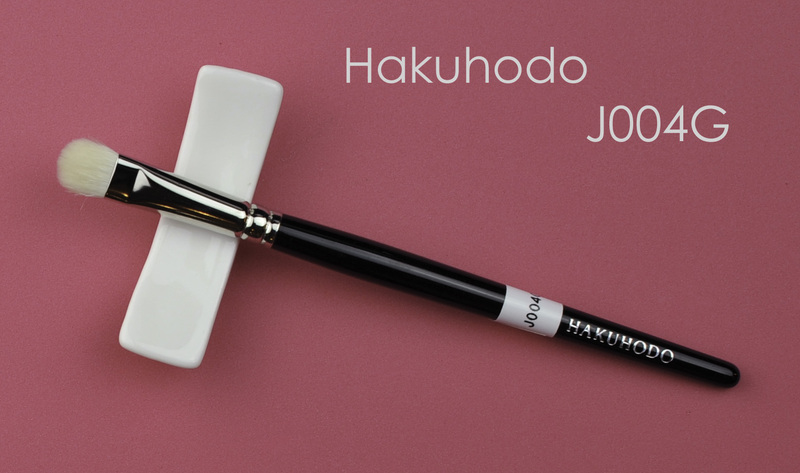 Hakuhodo J004G was last modified: October 27th, 2013 by Sonia G.
Can you tell me how you clean your brushes? What product you use? Do you use something different for cream and powder? I wash the goat brushes with mild soap and the squirrel brushes with mild baby shampoo but you will get soon many more details on how exactly I do it step by step 🙂 Just allow me a few more days and you get all the info! Thats great news. Thank you Sonia. I will order one of those and J242G. awww thank you Sonia, I really appreciate your help. I will order 210 because i am searching for the same flexibility and density as 109. OT: Any news for Tanseido international shipping? This post is really interesting. I have started my little collection whith the j5523. After this i am going to take from Tanseido the ywq 7, ycq12s, ywq9, ywq12. From Koyudo the little c011. And from Hakuodo the j122r, j544, j5529. Do you think the j004g can be more good than the Tanseido ywq9 for a beginner who want to experiment new techniques? P.s. The other day i accidentaly meet the mickey brush in Sogo. Is really cute and soft i really wanted to take it home with me. At last i chose to priorize my buget and the other wished brushes but even for a not expert like me it was a bit painful. P.s.s. Sorry for my bad english i am trying to improve it. Hi Romina, yes I think the J004G can be better because much easier with the thicker layer of bristles. Hello! I’ve recently discovered you blog and I must say I love it! I particularly enjoyed reading your stories about your visit to Japan and the brush factories, in fact it’s how I found your blog. 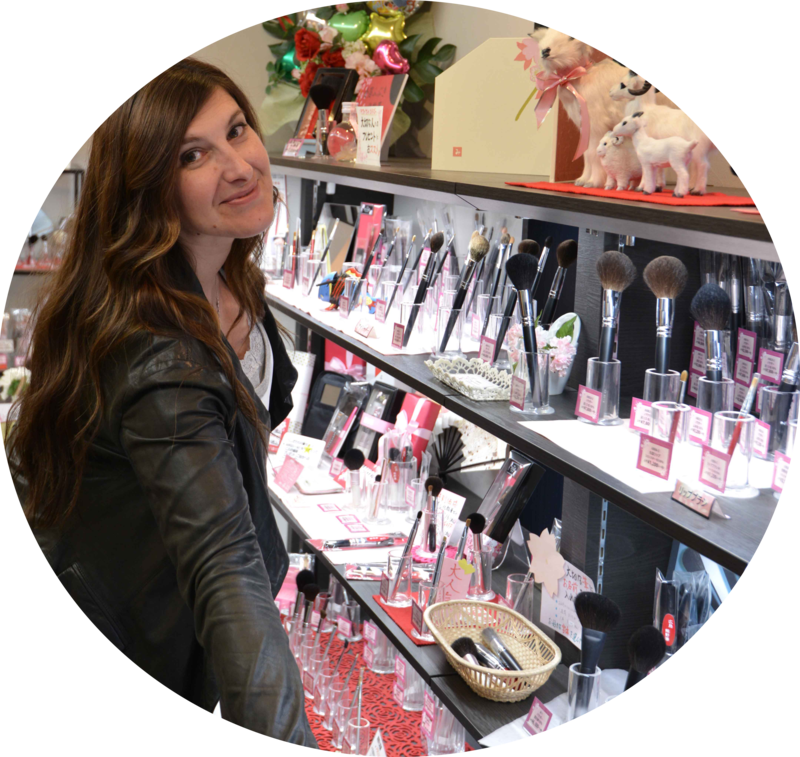 It is clear you are the Brush Queen and much as I appreciate the brush expertise on some of the other daily reads on my blog list, I think you are the one to ask this question (and a perfect post for it too). A few years back, I tried the MAC217 and quite liked it, but I never bought it as I was studying at the time and didn’t really have the resources to, neither did I wear makeup all that often. I had a scratchy old brush that while it was a bit irritating (same as you, I’m very sensitive and always looking for the softest, best-performing brushes), was good enough for the times I seldom used makeup, also I can use sponge applicators well. However, this past year I’ve wanted to buy it, but many, many beauty bloggers who love the brush have talked of how the new versions manufactured in the last year or so are all scratchier and not quite up to the standard of the old one (rumour is, MAC has changed their brush supplier, not sure how true it is). I’ve seen the newer ones too and I don’t think they are like the old ones I liked. So what I would like to ask you is, what is a good dupe for the MAC 217, Hakuhodo or other brands (I’m from the UK if that helps). Sorry, it was such a long post to ask such a simple question! I don’t know if the quality is less good today, I bought mine years ago and they are still ok, but one of my 217 is a bit less soft than the other. The Mac dupe is the J5523 🙂 I have similar other brushes from other brands (Trish mcevoy, No7, Sigma) but the best dupe is that one! let me know if you have questions related to them but I confirm again, best dupe is the J5523 ! So disappointed it is not for sale on the US website this year…I am short sighted and the handles are a god send, not to mention the beautiful rose gold tone!! Otherwise in Facebook I posted an album about it with the exact dupes of Hakuhodo within their regular line. (Just the handles are different). Even Shu has dropped prices recently, which is fantastic. Not everything, just most of the makeup which makes it more realistically affordable. 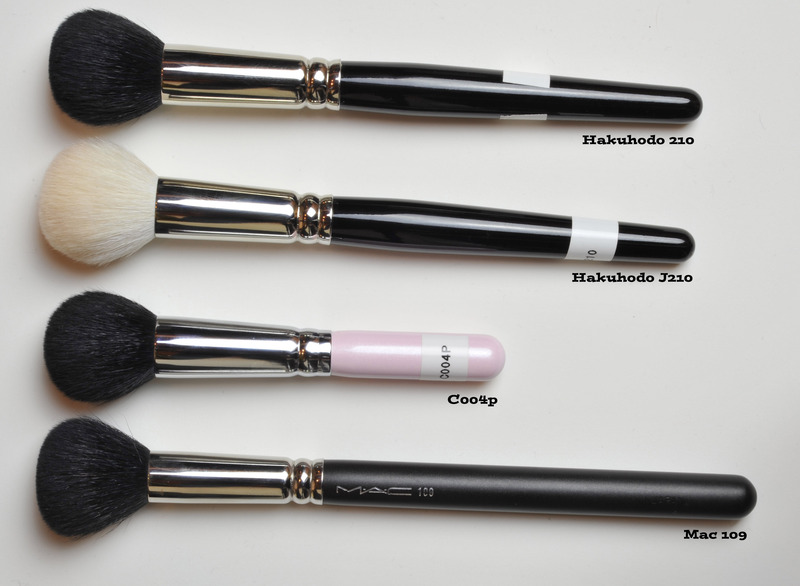 Brushes are still the same price as before – last time I checked the cute little Shu foundation, the G-10 (? ), was AU$105!! Thank u very much for this post! It was very helpfull, I^ve bought J004G! Do you still prefer the Tanseido brushes to this one? I prefer this one because it’s thicker but the hair of the Tanseido is even a bit more pleasant. 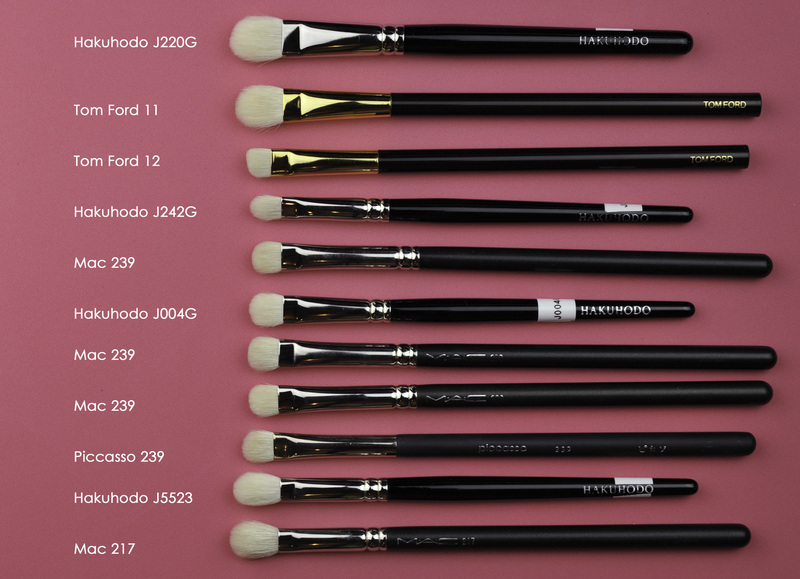 If I had to chose I would keep the J004 but Tanseido have a huge potential if they make their brushes denser!!! You should tell them that. 🙂 I’m sure that they would appreciate your opinion. Can you tell me, plese, if you are ordering hakuhodo brushes from hakuhodousa.com? if so, what type of shipping do you choose? Had any of your hakuhodo orderes been lost? Hi Mila, I have always chosen the cheapest international Shipping method, I think its around 12 usd. Never lost a package so far. They always reach me in or under a week. I bought the Hakuhodo J004G and I was very disappointed because it’s not as dense as the Mac 239 so I ended up buying another Mac 239. I also bought their J134 which was also very disappointing and it was slanted too (bristles) which is not like Hakuhodo! The J5523, J210, J5543, J212, and J214 are all great though. I wish Hakuhodo would do a denser version of the J004G. Oh well will sell the two duds on EBay! I just ordered the “enchanted” version of the MAC 239, sort of a travel size – USD $9.00!! Free shipping. Even if it is travel size, you can’t beat that. The smaller versions may be made in CHina, depending on the set, if it’s just a shorter handle maybe it’s the one and it’s good. I have some with shorter handles, still made in Japan and they are just as good!